Glenn Beck has designated his program on Fox News on Fridays:Founders Friday. On 5/21, that focus on our founding fathers had to wait for Beck to, once again, discuss how progressives are so terribly bad for the United States. Beck began, “Tonight, we want to do some revisionist history.” First Beck pointed out that one of his researchers, who was reading one ofJoseph Goebbels’ (Hitler’s Reich Minister of Public Enlightenment and Propaganda) diaries, showed Beck that Goebbels was influenced by the Woodrow Wilson Administration’s use of propaganda. No text, no chapter, no specifics were cited; but trust Glenn Beck to tell his audience the facts. It was clear though: propaganda is bad! Later on in this segment of “Founders Friday,” Beck discussed at length the Administration of FDR. 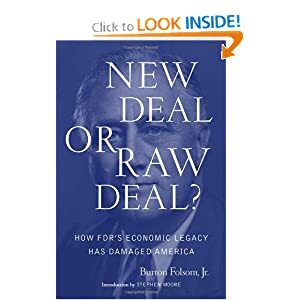 To assist in this topic he brought in regular guest of his, Burton W. Fulsom, libertarian professor of history at Hillsdale College, to hawk his book, New Deal or Raw Deal? After summarizing the Roaring 20′s as a huge economic boon when Scotch Tape and zippers were produced for the first time, Beck and Fulsom failed to mention that it was under the policies of low taxation that the Stock Market Crashed and the Great Depression began. That, indeed, is revising history. Now for the facts: Upon his passing FDR’s approval rating was at 70%. He was overwhelmingly elected four times; never with less than 432 electoral votes. In 1938, his approval ratings never dropped below 48%. Fulsom: You make a useful point–in the death of any famous person, some people will be happy about it. Fulsom: The larger point on FDR I was trying to make was that FDR’s death produced action by those who did not like him. They worked to pass a constitutional amendment for term limits for the president. Fulsom: I think Beck is on target on progressivism. 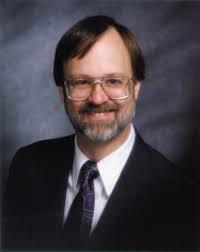 Mr. Beck is not a propagandist in my opinion. He states what he thinks is correct. The logic of his argument should either be persuasive or not. I don’t happen to watch his program regularly, but have seen an occasional show and he seems to make his arguments well. But to quote Frank Zappa, “People will agree with you only if they already agree with you.”  I suspect that is true of many television personalities. Wolfram apparently doesn't watch The Glenn Beck Show much. At any rate, if this is the kind of uninformed opinion offered by the professors there, Hillsdale College is not a place to send a child for education. Folsom dodging that question is no surprise since Beck was critically pointing at the Wilson Administration as propagandists on the very same show, on the very same segment, that Beck commenced with his propaganda. This is called hypocrisy! 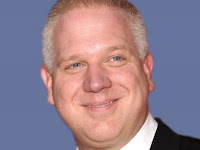 Moral and righteous people support Glenn Beck – why? Another question begging to be asked is why did Beck take 10 minutes out of Founders Friday to propagandize against what he calls a “cancer,” i.e., civil rights, environmental and consumer protections, financial regulations, etc. It was two weeks ago that Beck proudly announced how high the ratings of his Founders Friday were. Hmmmm…. …to deceive and practice what he preaches against! The remainder of that episode was also loaded with deception and misunderstanding of the Washington Monument. For more on this see “Glenn Beck’s Conspiracy of the Day: Revisionist History at the Washington Monument” produced at News Hounds. Anyone, who does not notice Beck’s lies or his hypocrisy, is encouraged to read the post, A Must See 3-in-1 Video Clip: Classic Beck! Update, 2/12/11: The video clip in the 3 in 1 video now links to a log in on Beck's Insider Extreme. Apparently, one has to pay to see Beck exhibit deceit, hypocrisy and stupidity simultaneously.